China is booming in every way. The Chinese e-commerce market is the largest in the world and one of the most innovative. The Middle Kingdom is a role model in terms of internationalisation. For brands and retailers who want to continue to grow, China holds the opportunities par excellence. At the same time, Chinese consumers are strongly attracted to foreign brands and products. This enthusiasm is particularly easy to attract even when travelling. Even when travelling Chinese people like to learn about the mobile Internet. The growing number of Chinese tourists in Europe makes it attractive for retailers and brands to adapt to the mobile preference of their potential customers. What strategies should they pursue in order to pick up the digitally affine consumers from the Middle Kingdom? In order to successfully globalise, a company needs to know the habits and preferences of a target group and, accordingly, implement and offer them in the desired distribution channels. In this context, the language, the currency and the most popular payment methods are indispensable. Otherwise, you’ll hardly find any buyers. Customer behaviour in China is, as already indicated, extremely mobile. 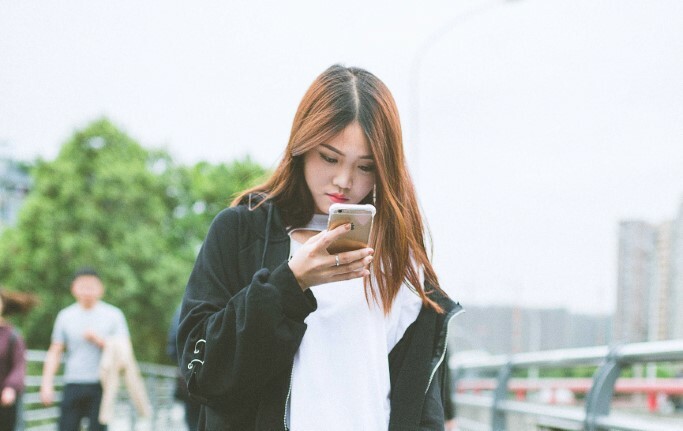 The Chinese use smartphones as an integral part of their daily lives, and while Germans still prefer to order something online when shopping online or pay cash on the go, Chinese people prefer to pay cashlessly via barcodes. With apps that are highly influential in China, such as Alipay or WeChat, users can do more than just pay but also shop, send messages, play games, arrange appointments, and get informed or inspired about products and services. Mobile payments are the new normal in China. The most widely used payment methods Alipay and WeChat Pay have also been available in Germany since last year. Retailers and brands that offer these payment methods are more likely to win the trust of Asian tourists and thus significantly increase their sales. This is particularly interesting considering Chinese tourists spend an average of 3,000 euros per person per trip for purchases. Luxury goods such as designer handbags, shoes, and clothing are in high demand. Some stores in major German cities have already recognized this potential and worked closely together with the leading payment processing specialist Wirecard. Wirecard has launched mobile payment method Alipay at Value Retail – the founder and operator of the luxury outlet centre “The Collection of Villages”. The fashion chain Breuninger also set up a WeChat account and implemented the Chinese payment system WeChat Pay with Wirecard. But tourists don’t just stroll through inner cities. The spend a lot of their free time at airports. The duty-free retailer Tripidi is therefore currently offering targeted products in three shops at Frankfurt Airport as well as “Made in Germany” products online: Cooking accessories from Fissler and WMF, high-quality stationery from Faber-Castell, and even baby products. With the Chinese use their smartphone for everything, Tripidi faces the challenge of delivering seamless shopping experiences: For example, users of the online shop can reserve goods for pick-up at the airport store or buy online. But you do not necessarily have to do both: Tripidi will offer to send home or online purchases anywhere worldwide. To enable Chinese customers to conduct transactions as usual while on vacation with a smartphone, Tripidi is a pioneer in the introduction of Alipay as a means of payment. Even more: Since the beginning of the year, passengers from China can also pay with WeChat. The strategy is bearing fruit: “We generate about 80 per cent of revenue in our Frankfurt stores from Chinese passengers,” reported Tripidi CEO Jennifer Noelle recently while talking to the specialised Portal Internet World Business.